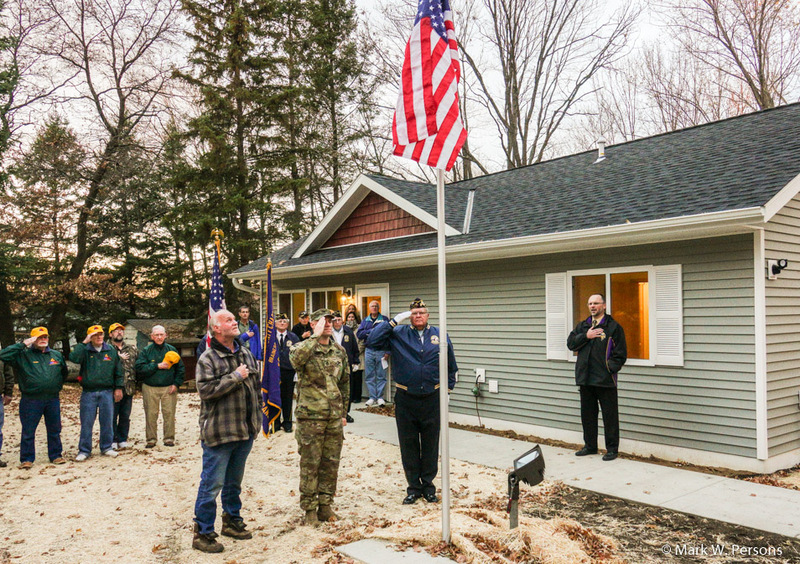 There was a flag ceremony and dedication of a new home for Ray Lindberg, a local disabled military veteran. The location is Red Pine Road, east of Brainerd. The Honor Guard from local veterans groups was there to raise the flag. 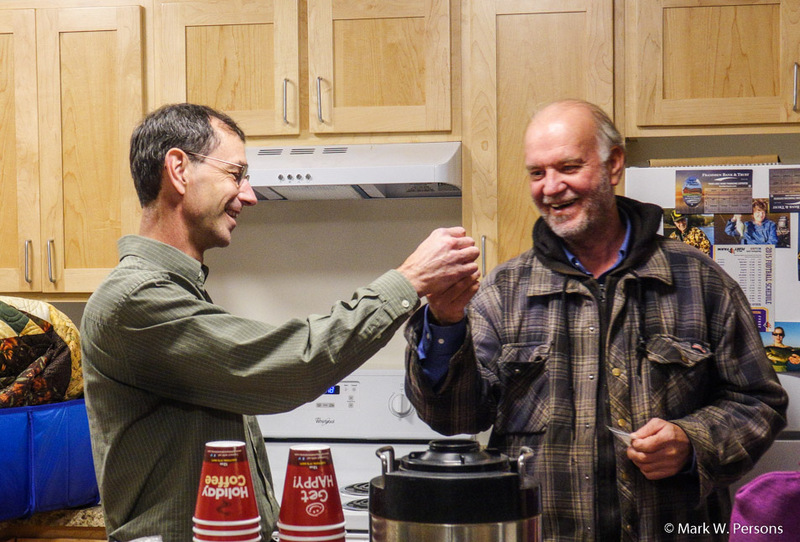 (l-r) The local director of Habitat for Humanity is seen here handing the home key to Ray. 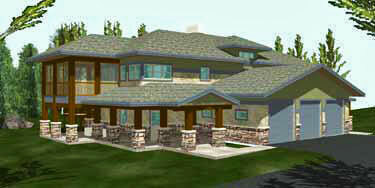 Ray put 500 hours of his time into the home. Local contractors and Habit volunteers did the rest. 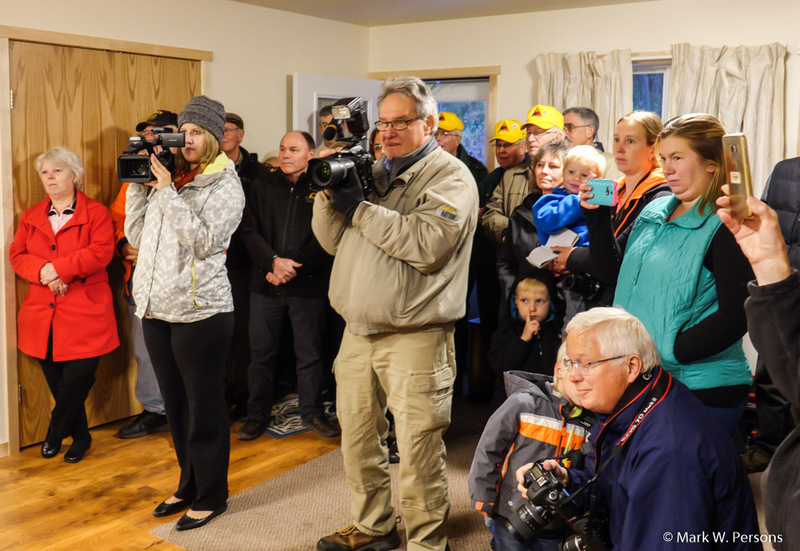 News media, including Channel 9/22 TV and the Brainerd Dispatch newspaper ,were there to cover the event. 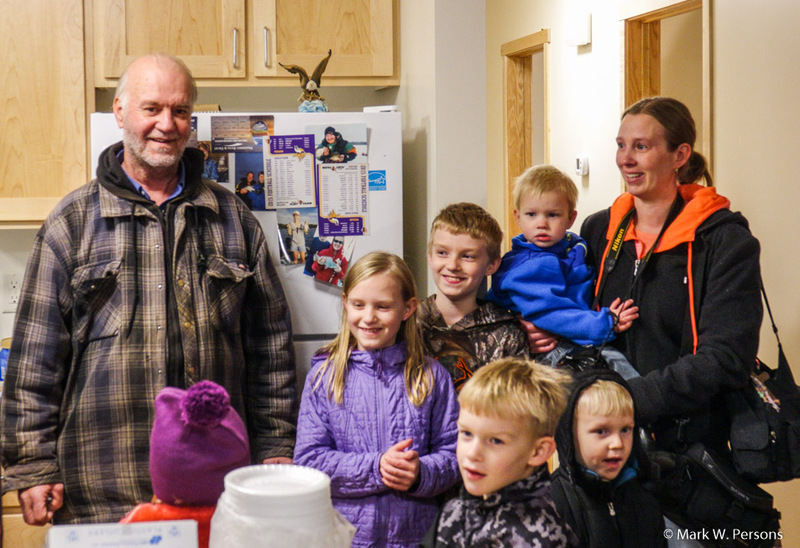 Ray posed with his daughter and grandchildren, a happy crowd. 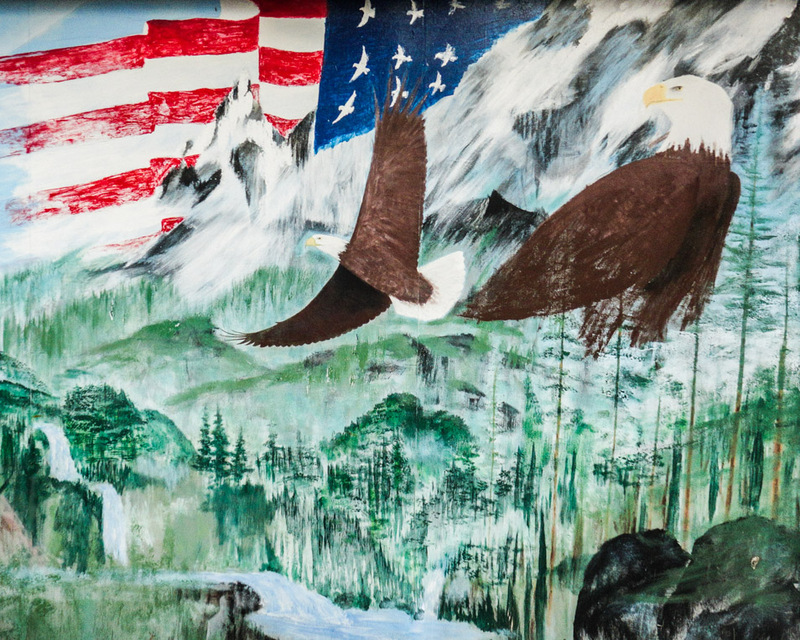 There is a hand painted mural on Ray's garage depicting American Eagles over a forest landscape. Nicely done.